This unit comes complete and ready to connect to 240V power and a water supply. All you will need extra is a 20 micron water filter on your tap to maintain a clean water supply. 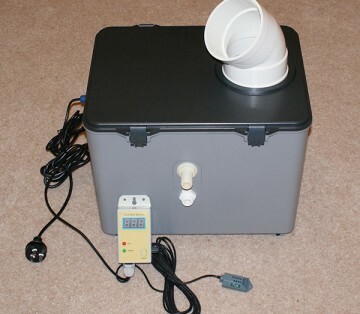 The unit comes complete with an automatic humidity controller so that you can dial up your desided humidity level. The unit can run continuously however it is best to switch it off for about an hour a day to ensure a long life of the ultrasonic transducers. This is generally not an issue because humidification is rarely needed at night. The unit is mobile so no expensive installation is required.